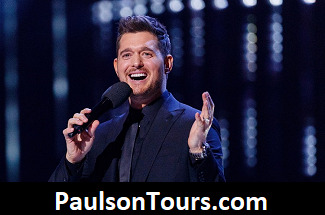 Join us to see Michael Buble at the Wells Fargo Center! The four-time Grammy winner will also receive his own Star on the Hollywood Walk of Fame on Nov. 16, the same day as his new album Love (stylized as a heart emoji) is set to be released. Concert Ticket in the area of your choice! Have your own tickets? "RIDE ONLY" also available!